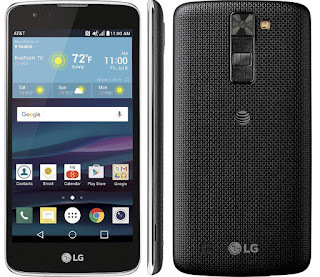 This week's Deal of the Week is the AT&T Prepaid LG Phoenix 2 LTE Android phone on sale for $39.99 at Best Buy. The discontinued Phoenix 2, which originally sold for $69.99, is getting hard to find at any price. It was a very popular and well regarded entry level Android phone. It's a much better device than its successor, the Phoenix 3, which has a lower resolution (480x854 vs 720x1280 px) screen and camera (5 MP vs 8 MP) than the Phoenix 2. The Phoenix 2 specs include a 5 inch 720x1280 px screen, Snapdragon 210 SOC, 1.5 GB RAM, 16 GB internal memory, memory card slot, NFC and a removable battery. There's an 8 MP rear camera with autofocus and LED flash and a 5 MP front facing camera with selfie light. The Phoenix 2, which launched with Android Marshmallow, got a Nougat update in May and just received the September security patch which includes a fix for the BlueBorne exploit. 4 Lines of $50 Unlimited Gigs Plan for $100 ($110 with Todo MexicoFamily plan promotion). New activations only, at least one line must be a port-in from a non-Sprint based MVNO or operator. 4 or fewer lines $100, 5 lines $130. Ends 11/2. Unlocked GSM iPhone 5s 32 GB (new other) $159.95 Free shipping. 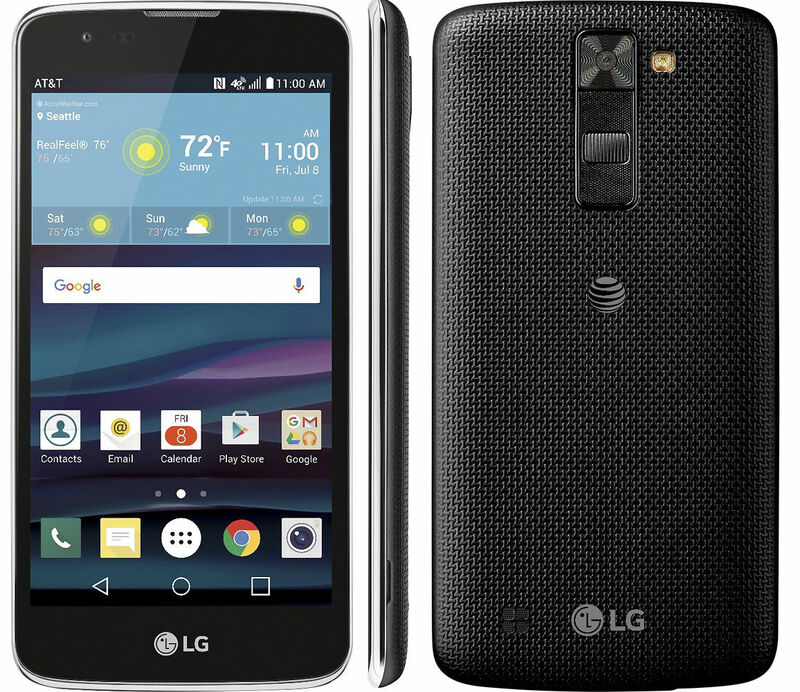 Unlocked T-Mobile LG G5 H830T 32 GB LTE Android phone (new) $219.99 Free shipping. Verizon (or Verizon MVNO) iPhone 5s 16 GB (manufacturer refurbished) $147.95 Free shipping. Free Samsung LG K0 Plus, Galaxy J3 Prime or LG Aristo when you port your number to MetroPCS. In stores only. 20% off Virgin Mobile phones with airtime purchase. Updated 10/20: Price cuts and new deals since Sunday in bold. Best Buy "Boost Mobile Motorola E4 Plus 16 GB LTE Android phone $69.99 (reg $99.99)" is actually selling for $99.99. Thanks so much for your weekly report! AT&T Prepaid is offering a new autopay system. A Howard Forums user has revealed a way for CallingMart customers to combine CallingMart with the new AT&T autopay system to save extra money. The customer would get both the CallingMart discount and the AT&T $5 monthly discount for being enrolled in AT&T autopay. Sounds great. but i Just left AT&T PREPAID after 2 years. I was having LTE connectivity issues. Somthing has changed with there prioritization. AT&T PREPAID is not what it used to be. This connectivity issue has also been reported by some PPN readers. A second line i have with H2O Wireless never connects to LTE. So they replaced a 6" phone with a 5.5" one. Not really an upgrade. Someone reported paying $119 at Walmart for the H1711 which comes with Nougat. Too bad they shrank the screen size on the new model. Family dollar stores have prepaid Verizon Moto e4 for $34.00. wondering if you can use advertised preloaded $45 sim (costing 24.99) in this phone? $112 for a HTC Bolt at Twigby is a really bargain. Should have made the Outstanding Deals list. This is probably the most phone for the money on this weeks post; it certainly is the best deal for phones not locked to one mobile carrier. The HTC Bolt is a Sprint exclusive phone. It is sold locked by Sprint. There's no indication in Twigby's listing that it's unlocked. HTC Bolt is not locked to Twigby, so it can be used with other mobile carriers, E.G, Sprint MVNOs. HTC Bolt was a $600 phone with flagship specs - introduced 11 months ago. Why isn’t it an Outstanding Deal at $112? The Bolt is an good deal if you need a phone for Twigby, or possibly for another Sprint MVNO. Twigby clearly intends for the Bolt to be used on Twigby. You have to pay for the first month of Twigby service in order to buy the Bolt. The cheapest plan is only $9 but it looks like the phone ships with a number assigned to it. If that's the case, the phone would need to be released by Twigby before it can be used on Sprint or a different Sprint MVNO. I've found that switching phones between Sprint MVNOs, even after they have been released by the losing MVNO, often does not go smoothly. The Outstanding Deals list is arbitrary and subjective. I'll consider adding the Twigby Bolt to it next week. Ting says they automatically push the MEID back to Sprint after a port-out (even though it will still show as available for activation in the Dashboard). If somebody is worried about moving a Bolt to another MVNO, they can buy it at Ting for $125 after the $25 phone discount. When a MEID is pushed back to Sprint, does that mean the corresponding device can be activated on most Sprint MVNO's? Also since the Bolt has ATT and TMO bands, does that mean that it is unlocked for use on these carriers and their MVNO's as well? Yes. When Ting de-activates a phone due to port-out or phone swap (off), the MEID is available within minutes for re-activation with another MVNO, since they have access to the Sprint activation database. If the Sprint systems are undergoing maintenance, it can take a little longer. No, the Bolt is not unlocked for domestic GSM use. A Sprint postpaid customer could help you get a Domestic SIM Unlock, or Ting can request an International SIM unlock. Remote unlocks for the HTC Bolt GSM slot sell for $10 on eBay. You will need a Windows PC (not a netbook) and will have to install software and HTC drivers on it. It takes 10-20 minutes. The Bolt works fine on AT&T and T-Mobile once unlocked. Target - No Taxes being charged for this airtime OFF Targets website. (Verizon Prepaid airtime - buy one, get 20% off the second one). For Those that have a Target Red Card it will save an additional 5% on their purchase. Pretty good deal ! Looks like ebay has become the major online TMO store. No more brick and mortar stores. Seems a little lean. They want everybody at the magenta stores? CellNuvo seems to be back up although I can't find a way of setting up a new line of service and account management is limited to Their app and email support. Their new plans are basically Red Pocket clones. They no longer mention anything about service on a GSM network. They price their plans in "gold" (dollars) and "silver" (maybe cents). I don't know if we can still call CellNuvo a "freemium" carrier. Nextplus is what freemium should be aiming for, except with voip as a backup for regular calling and texting, plus banner and daily push notification ads instead of any sort of popup or video ads. However, unless the ad revenue allows steep discounts for service on customers' network of choice, all while maintaining profitability, freemium can probably be considered a doomed business model. As for Cellnuvo, which requires way too much hoop jumping, it was living on borrowed time from the very beginning. They completely ignored the consumer experience, and wound up suffering because of it. If "silver" are meant to be cents then their paygo rates are 2c/text (not bad) and 20c/minute and 20c/MB which are the most expensive paygo rates I know of. Nextplus Go has been out of business for a while now. The only thing their parent company textplus has now is a messaging app that charges 20c per minute while Google Voice with the Hangouts app does the same thing for free. "Nextplus Go has been out of business for a while now. The only thing their parent company textplus has now is a messaging app that charges 20c per minute while Google Voice with the Hangouts app does the same thing for free." They used the wrong type of ads and didn't offer steep discounts on data, which is literally the only thing that matters anymore. That's what killed NextPlus Go. Their core strategy of tying service into an app is still spot on, even if it's been poorly implemented by everyone who's tried it. Freedompop's app doesn't do texting well, nor do they offer regular voice and text plus visual voicemail without additional charges, and starting out on Sprint rather than AT&T basically gimped them right from the start. TextNow also went with Sprint and charged fair pemrices for their service, which was a similarly boneheaded move since nobody wants to pay for Sprint. NextPlus Go might've started on T-mobile, but their pricing was comparable or higher than regular MVNOs and like Textnow they never actually went the freemium route to begin with. Then there's Cellnuvo, which stuck to Sprint, didn't offer an ad-serving communication app, and instead forced customers to spend unreasonable amounts of time actively viewing ads for very little payoff. In other words, they did pretty much everything wrong and now they're a regular MVNO. The point is, there hasn't been a single app based freemium carrier with free (as in included as a feature, not "free unlimited") regular calling and texting that offered RingPlus style promotions and free plans, all without hoop-jumping or overly obtrusive advertising. It's literally never been tried before, although RingPlus claimed to be going in that direction with a custom dialer that never materialized but which should've been part of their service from the start (along with an account management app). Granted, I'm not saying the business model would be guaranteed to pan out, but it'd be the best a freemium carrier could possibly do to make itself appealing to the largest number of ad viewers, which is exactly what freemium should be aiming for given its reliance on ad revenue. Anyway, until a freemium carrier comes a long and does it right, we'll unfortunately never know whether or not freemium's viable in a reasonable best case scenario. All we've seen is poor business strategies leading to failure, which was something anyone could've predicted. My Moto E4, unlocked Verizon phone successfully installed a system update, NDQS26.69-23-2-3. I am using a FreedomPop SIM. That build protects against the BlueBorne Security attack, and Verizon also gives regular bug fixes and improvements. The Moto E 2015 is on the list to get Android 8.0, so the E4 will likely get it too. The Moto E2 (2015) was left updateless from even Marshmallow in the US. With 1gig of RAM I highly doubt any variant of the Moto E2 will even get Nougat much less Oreo!!! Posting this from my Moto E2 running Lineage OS 14.1 (Nougat 7.1). The E2 runs better on LOS Nougat as it did on stock Lollipop.